Anyone living in the neighborhood, particularly Red Hook, will be familiar with the New York Dock Company's remnants--hulking gray warehouses that must make Dumbo-drooling Corcoran agents weak in the knees. Seldom however do we get a chance to see a bird's eye view of their domain, which once sprawled over two and a half miles of waterfront. 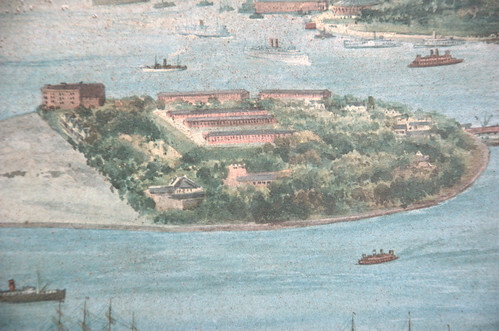 The lithograph provides a rare peek at the commerce that transpired along the banks of Governors Island and Brooklyn. Miller goes on to write more about the history of Governor's Island, and how it was nearly lost to infrastructure development. In 1898 (the year Brooklyn became a borough of New York City), an assemblyman proposed using the island as a center span anchor for a bridge between Red Hook and the Battery. Proof that real estate value has never been far from New York's beating heart, the assemblyman argued that the bridge "would cause a phenomenal development in South Brooklyn." That cheap promise would be reprised forty years later when Robert Moses demanded the very same public works project--but on a far grander scale. Given wide-ranging powers by La Guardia in 1938, Moses tried to reallocate the money meant for a tunnel to build a monumental (in all senses of the word) bridge that would hopscotch across Governors Island. 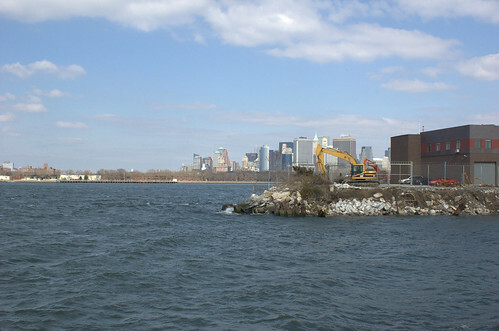 Today we have this view from Valentino Pier of both Governor's Island and Downtown Manhattan. Moses's threats and ultimatums cowed city and state officials into submission. All he needed was the federal government's rubber stamp. But, unforeseen, Eleanor Roosevelt publicly questioned the bridge's impact: "Isn't there room for some consideration of the preservation of the few beautiful spots that still remain to us on an overcrowded island?" The bridge's opponents had infiltrated the White House. FDR allowed the War Department to kill the project and favor a tunnel out of national security concerns (but more likely out of spite). Update 2008.01.06: I've added a post with photos from today. Update 2008.01.05: I have photos from my stint at Park Circle today. Update 2008.01.01: Added a new post with a map of Brooklyn locations for on-site chipping and drop-off. This winter holiday season, when you're done enjoying your ChrismaHanuKwanzaa tree (or, if you prefer, like me, a paganish Solstice tree) be sure that it gets recycled. In New York City, you have two ways to do that this year: MulchFest, and Curb-side Pickup. Whichever you choose, be sure to first remove all lights, ornaments, decorations, tree-stands and what-not before turning your tree into mulch. The Department of Sanitation will collect for composting clean holiday trees left at the curb from Thursday, January 3 through Wednesday, January 16, 2008. 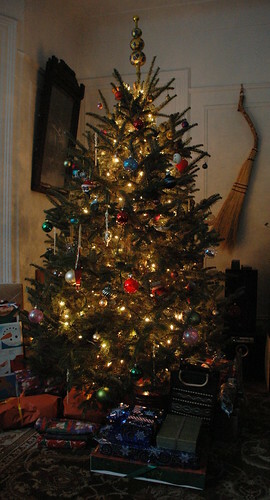 Make sure all lights, ornaments and stands are removed before setting trees at the curb. WHEN: January 5th & 6th, 10:00 a.m. - 2:00 p.m.
MulchFest provides New Yorkers an opportunity to bring their Christmas trees to designated sites where they are ground into wood chips. The chips can then be placed in tree pits and gardens. Parks & Recreation encourages New Yorkers to help the environment and their community by participating in this event. MulchFest takes place on January 5 & 6, 2008 from 10:00am to 2:00pm. Participants are encouraged to bring bags to take advantage of the free mulch provided. Participants will be able to take wood chips and/or mulch home from designated chipping sites. Mulch will not be available at sites marked as "Drop-off Only". Green-Wood Cemetery Mulchfest Info: Drop off trees 8am to 4:30pm daily from Jan 1 thru Jan 11. Bring trees for chipping 10am to 2pm on Sat Jan 12; NYC's recycling bin characters will be on hand from 11am to 1pm. Get mulch year-round! 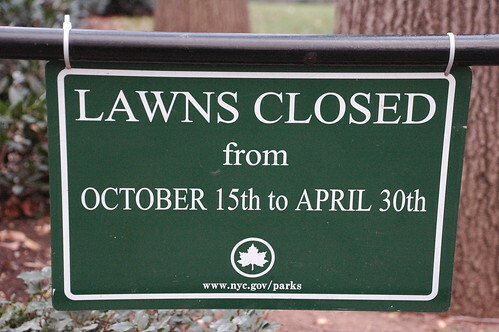 For more info, call Brooklyn Botanic Garden at 718-623-7290, or Green-Wood Cemetery at 718-768-7300. Discovered via Google Alerts, and added to my Brooklyn blogroll a few minutes ago: The Real Flatbush, a blog "for Non-pretentious people who live in Flatbush." It seems that there has been a number of blogs pertaining to my neck of the woods lately. There is a disturbing trend with all these blogs. ... They all seem to want to "change" Flatbush. So I saw this chinese restaurent on Cortelyou road and Rugby Road called New Neighbor. They had a new neighbor special and a brand new cheesy OPEN sign. New furniture. I've been to this take out place before our fair skin brethen started to move in. ... I've never seen cheap chinese food take out places going out of there way to look presentable. I guess all you need are a few lighter skin priviledge people to be treated like a human being. ... You gotta love this brand of racism. That would be New Neighbor Kitchen at 1404 Cortelyou Road. A New York times story about a women from New Orleans who had a great career. She is now living on hard times. I wonder if something like that could ever happen to our new neighbors of lighter persuation at Flatbush. As one of Dan's new, melanin-challenged neighbors I'm curious to see how this develops. It's the longest night and shortest day of the year for my half of the world. This season's Solstice (Winter in the Northern hemisphere, Summer in the Southern), is at 6:08 UTC on December 22, 2007. That's 1:08 Eastern Time, my time zone. For folks on the West coast of North America, it will occur late Friday, December 21, at 22:08. That's right now. The year 2007 is on pace to become one of the 10 warmest years for the contiguous U.S. ... The year was marked by exceptional drought in the U.S. Southeast and the West, which helped fuel another extremely active wildfire season. The year also brought outbreaks of cold air, and killer heat waves and floods. Meanwhile, the global surface temperature for 2007 is expected to be fifth warmest. Preliminary data will be updated in early January to reflect the final three weeks of December and is not considered final until a full analysis is complete next spring. Including 2007, seven of the eight warmest years on record have occurred since 2001 and the 10 warmest years have all occurred since 1997. The global average surface temperature has risen between 0.6°C and 0.7°C since the start of the twentieth century, and the rate of increase since 1976 has been approximately three times faster than the century-scale trend. Update, 12/16: I corrected the date: it's DECEMBER, obviously, not January! If it's raining this afternoon, we won't go caroling. We'll meet at a local home instead. I had to delete and re-create the original post. The Google Map was interfering with the Google post editor. This Sunday, January 16, from 1:45 to 4pm, the Beverley Square West Association holds its annual neighborhood Holiday Caroling. Everyone is welcome. Singing in key is not necessary! Bring your musical instruments, tambourines, bells, whatever, anything that will add to the festivities. All are welcome to join us. At 1:45pm, we meet up at the Tot Lot at the southeast corner of Cortelyou Road and Argyle Road. There we'll warm up and tune up (as best we can!). We then proceed to the firehouse, give them a holiday gift, and regale them with song. After that, we will randomly wander and rove along the streets of Beverley Square West: Stratford, Westminster, Argyle, Rugby and Marlborough Roads between Cortelyou and Beverly Roads. We gather afterwards at a local home for hot chocolate, cookies and such. I had an amazing time planting the street tree. I never had the opportunity before, only knowing how to take care of windowsill gardens. It felt like I was part of something larger than myself. I really liked getting my hand dirty and working outside. I felt like I was bringing back the wolf by bringing back a tree. Angela's post is illustrated by a sequence of photos showing the progress from empty pit to planted tree. A Quality Housing requirement for the NYC Buildings Department is for the home owner to plant a street tree either in front of their new home or somewhere nearby (same block or neighborhood). That was my task this week. Along with my father, we planted our first street tree together. A Japanese Zelkovatree [Zelkova serrata], apparently impervious to the devastating longhorn beetle, was chosen in conjunction with the Parks Department. Parks has a list of approved street tree species on their Web site. This is not a complete list of species that could be planted - "Superior cultivars may be substituted with the permission of the Agency" - but species susceptible to Asian-Longhorned Beetle (ALB, Anoplophora glabripennis) are specifically prohibited. These include Maples (Acer), Elms (Ulmus), Ashes (Fraxinus), and Hackberries (Celtis). Now that our building design is nearly complete, we’ve turned our attention to what surrounds the buildings: the outdoors. Third & Bond has 38 private outdoor spaces (enough for 85% of buyers to have their own) as well as 7 front yards and a courtyard. We want these spaces to look great, be easy to maintain, and meet our “green” goals. In short, we needed a green landscaping genius. They choice local garden designer Timothy D. Osborne, who does business as The Organic Gardener. They promise to share "the actual designs in the coming weeks." In today's post they describe some design constraints dear to my heart: grass-less (meaning no lawn), native plants and local materials, and butterflies. Some of the points are a bit confused, but the intent is sound. Grass is a LEED [Leadership in Energy and Environmental Design] no-no. Lawn grasses like crab grass and Kentucky blue grass are not native to North America and require a tremendous amount of watering compared with native coastal grasses. I just checked the LEED Version 2.2 Rating System and Credit Checklist for New Construction and didn't find any references to lawn or grass. Still, eliminating lawn is a brave choice for a developer; I'm surprised and pleased to hear they're going to try to make it work. Since we bought our house some 30 months ago, I've been gradually reducing the garden space devoted to lawn. I have a small patch of lawn left in the front yard. We no longer use a lawn care service; they all use gas-powered mowers and leaf-blowers, which pound-for-pound are worse than SUVs for their carbon emissions, particulate pollutants, and noise pollution. I use a push-reel mower and rake. I rarely water, and it shows. I've seen some beautiful examples of lawn-less front-yard gardens in the area. I expect that within a few years what's left of our lawn will be replaced with more complex, interesting, and sustainable plantings. The Organic Gardener’s plant suggestions were almost all native including lavender and dogwood. Lavender is not native to North America, but it's a great choice for xeriscaping, low-water-use gardening. Satisfying the local butterfly population is pretty much our #1 priority at Third & Bond. But seriously, another benefit to choosing local plants is that they are more attractive to birds and butterflies native to the area. We’re hoping our plant materials will be especially attractive to winged wildlife. If they can follow through with these intentions, I have no doubt they will be. Although I write about local issues, and go so far as to dive into zoning and land use, I avoid the hard-core, snipe and snark, body-slam arena of Brooklyn real-estate blogging. There's not much opportunity to return the link-love I get now and then from Brownstoner. It's nice to be able to return the favor while staying on-point for this blog. Map of Brooklyn Census Tract 520 returned by the DCP Census Tract Finder when searching on the Q Train Cortelyou Road Station. At last night's Workshop #2 of Imagine Flatbush 2030, they had something new: a brief slide show of orientation information, similar in content to that presented at the first workshop, plus some census data about the study area. You can see some photos of these by Frank Jump, who attended last night's workshop and happened to be in my breakout group, on his blog, Fading Ad Blog. Except for Community District, once you've identified a point, you can view census data by a single Census Tract, by neighboring Census tracts within a .1 to .5 miles range you specify, or by Community District. At the top of the resulting report is a map showing the point or area you selected and the matching census tracts. A pink dot identifies the focus, the selected tracts are highlighted in blue, and all visible tracts are numbered. Associated with the map are the usual zoom and navigation tools. It also provides tools to select or exclude additional census tracts. In 1970, Census Tract 520 in Ditmas Park [sic] was 92.1% white. Less than a quarter of the population was foreign-born, and most of them were Italian and Jewish. Today, the neighborhood is a miniature United Nations, with nearly two-thirds of the population coming from other countries. Although Elmhurst and Jackson Heights have a larger percentage of foreign-born residents, the city's demographer, Joseph Salvo, said it's the convergence of racial and ethnic diversity that distinguishes Ditmas Park. 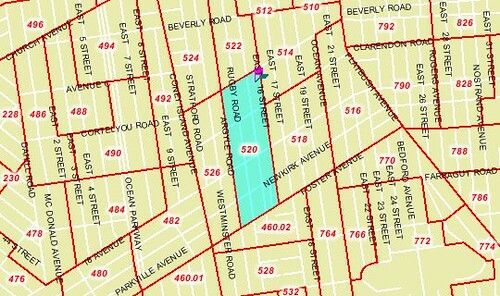 Note, however, that Census Tract 520 is not in the historic district of Ditmas Park. 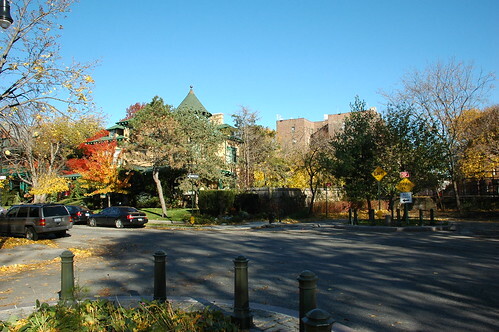 It comprises the eastern half of Ditmas Park West, my neighborhood neighbor to the south, plus the blocks between Newkirk and Foster Avenues. The "most diverse" claim arises from the observation that the demographic category comprising the largest single group, Black / African American, only comprises 29.2% of the population. Across the city as a whole, there is diversity. Queens has the largest percentage of foreign-born residents of all five boroughs. But when you get down to the level of a few blocks, what you usually see is a predominant group. And I explained that I mean this "in every way I can think of." This captures the asset of diversity we enjoy today, one which I think most of those who've participated in the workshops so far value as well. It also presents the challenge: how can we mitigate existing disparities, and keep the gap from widening. How can we avoid becoming the victims of our own success as a vibrant, interesting, developing community? Just a reminder that tomorrow evening's Imagine Flatbush 2030 Workshop #2 will begin at 6:30pm on the Brooklyn College campus. It makes a body proud. Flatbush is Brooklyn's noisiest neighborhood, measured by the number of noise complaints to 311. [In Flatbush] 2,058 noise complaints were made to the city's 311 hotline from July 1 to Nov. 20. Williamsburg fell just three complaints behind, followed by Bushwick and Brownsville. This year, DEP complaints in Brooklyn surged by approximately 23%, from 3,914 to 5,101 calls, officials said. Citywide, there were more than 135,589 complaints in the nearly five-month period - about a 25% hike over the same period in 2006. Brooklyn's top noise culprit is construction-related din, which is handled by the DEP and clocked in at 2,300 complaints. Other pesky rackets plaguing the borough include ... barking dogs, which annoyed Brooklynites enough for them to dial 311 1,263 times from July until last week. Ice cream truck jingles drew 261 complaints and loud music spurred 119 calls. Car noises, including honking horns and alarms, also made the top-10 list of complaints for the borough. A string of storms brought the season’s first snow to the eastern United States from the mid-Atlantic states to New England during the first week of December 2007. 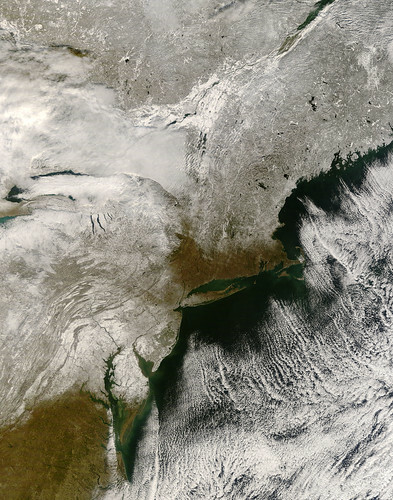 By December 6, most of the clouds had cleared, providing the Moderate Resolution Imaging Spectroradiometer (MODIS) on NASA’s Terra satellite this view of the snow-covered landscape. The snow highlights the contours of the land. Waves and curves follow the gentle folds of the Appalachian Mountains through Virginia, West Virginia, Maryland, and Pennsylvania. The more rugged mountains of New Hampshire, Vermont, and New York wrinkle the surface of the land. 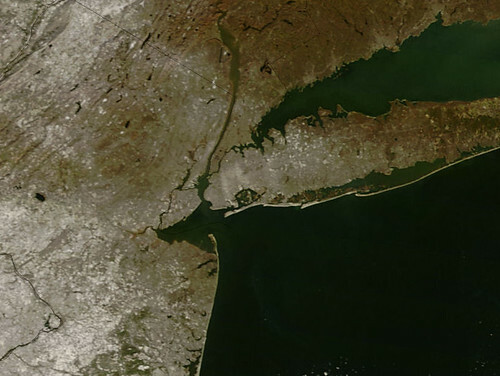 The snow also makes rivers and lakes more visible than they might otherwise be. The dark blue-green Finger Lakes of upstate New York pop out against the surrounding white land. The long narrow lakes formed when glaciers scoured, deepened, and eventually dammed stream valleys. The lakes point north and northwest to the shores of Lake Ontario, portions of which are visible beneath a bank of clouds in this image. The northern shore of Lake Erie similarly peaks through the clouds to the west. In the far north, particularly in Maine and Canada, lakes have already started to freeze. The ice is a smooth, bright white surface in contrast to the slightly darker land. To the south, snow-covered Maryland surrounds the northern Chesapeake Bay, starkly outlining the ragged shoreline where rivers and streams enter the bay. The largest river flowing into the Chesapeake is the Susquehanna, which cuts southeast across the Appalachian Mountains of Pennsylvania. Here's a closer view of the NYC area. Some quick notes of things happening within a couple blocks of me over the next few weeks. Details for all these events are available from the Google calendar in the sidebar. Saturday December 8 and Sunday, December 9, 1-6pm, Prospect Park South resident Karen Friedland hosts an Art Show and Sale. Sunday, December 9, 10am-3pm, P.S. 139 has their annual Holiday Craft Fair. 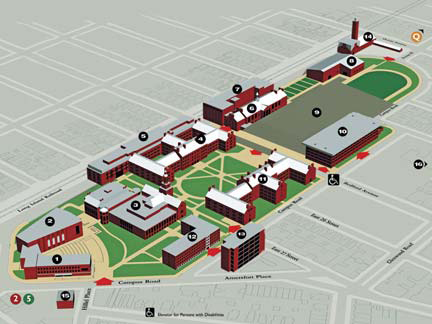 Wednesday, December 12, starting at 6:30pm, Imagine Flatbush 2030 Workshop #2 at Brooklyn College. 1:45-4pm, Beverley Square West Holiday Caroling. Meet at the Tot Lot at Cortelyou and Argyle Roads at 1:45pm. 3-5pm, Cortelyou Road Tree Lighting, at the Tot Lot. 3:30-5:30pm, The Regina Opera, at the Victorian Place Cultural Center / Temple Beth Emeth. The New York City Council Parks and Recreation Committee will hold an oversight hearing on the use of artificial turf in the City’s parks. 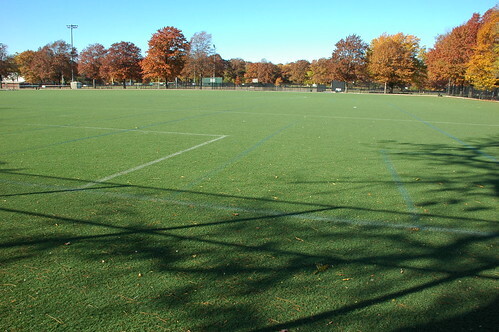 New Yorkers for Parks published, “A New Turf War: Synthetic Turf in New York City,” which provides background on this issue and offers recommendations for determining when and where to use artificial turf in city parks and athletic fields. New Yorkers for Parks will use this opportunity to voice some of the recommendations of our policy report on the topic. The hearing will be held from 10am-12pm, at 250 Broadway, 14th Floor Hearing Room. New York City’s Department of Parks & Recreation (DPR) has become increasingly reliant on synthetic turf as a replacement for asphalt and natural grass athletic fields across the city. Through the installation of the “new generation” of synthetic turf, DPR seeks to increase community access to fields as well as to solve the maintenance challenges of grass and the aesthetic and safety problems associated with asphalt. This surface offers all-weather playability and lower maintenance costs than grass; however, synthetic turf has some negative environmental impacts and requires a significant capital investment. The important environmental benefits of natural turf, such as its ability to absorb and filter rainwater and pollutants, and to decrease the impact of the urban heat island effect, must be considered in the debate. Your host, reporting the observations of his breakout group to the larger assembly at IF2030 Workshop #1. Credit: Municipal Art Society. 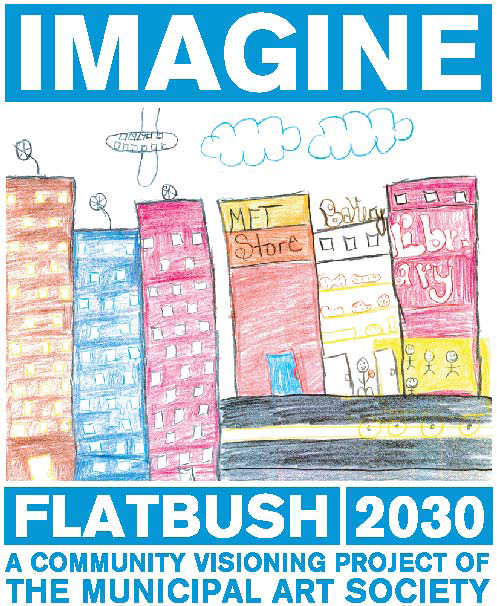 Yesterday's Brian Lehrer Show on WNYC has brought wider awareness of and interest in Imagine Flatbush 2030. For those who are curious about the process, or might even be interested in attending Workshop #2, here are the notes which the Municipal Art Society facilitators compiled from the first workshop back in November. 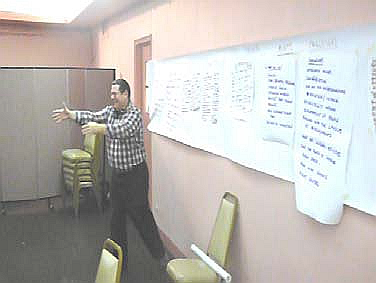 Imagine Flatbush 2030 kicked off on Monday, November 19 at Temple Beth Emeth, with a preliminary stakeholders meeting. (A list of approximately 150 stakeholders was cultivated with help from FDC, neighborhood groups, and elected officials. Stakeholders who attended were asked to serve as project ambassadors and assist with outreach for the next meeting.) [At least three of us who live within the study area and write about it on our blogs - Sustainable Flatbush, Brooklyn Junction, and I - attended the first workshop.] Approximately 50 of those invited attended—representing Brooklyn College, tenant associations, city government, homeowners associations, the local YMCA, merchants groups, community development groups, and civic and faith-based groups. After an introduction by the Planning Center to MAS, Jane Jacobs, and the goals of the project, Elizabeth Yeampierre, Executive Director of UPROSE led a discussion of the meaning of neighborhood sustainability, the Mayor’s PlaNYC, and why neighborhoods needed to create their own agendas to work in tandem with the Mayor’s plan. and inadequate sanitation in some areas. Some interesting macro-level impressions: the neighborhood is large and varies in character and composition from place to place and consequently assets and challenges vary from place to place. Next step: Workshop 2 at Brooklyn College Conference Center, Wednesday, December 12. [Note: This will start at 6:30pm, not 7pm as reported in these notes as sent out to Workshop #1 participants.] Agenda: public forum to identify sustainability goals. Posts tagged "Imagine Flatbush 2030"
Come and participate in a special dialogue about the future of Flatbush. The Flatbush Development Corporation (FDC) and the Municipal Art Society (MAS) are inviting you to take part in Imagine Flatbush 2030—a community visioning and dialogue process—designed to get you together with other Flatbush community members to collectively create a more sustainable neighborhood. If you care about the environment, community health, protecting diversity, ensuring affordable housing and a whole host of other community issues, this is the meeting for you! The star highlights the location of IF2030 Workshop #2. The closest subway stop is the 2/5 Brooklyn College-Flatbush Avenue / Nostrand Avenue station. North is to the lower-right in this map. For more information and to RSVP, please contact Sideya Sherman, at the MAS Planning Center, at 212/935-3960 or via email at ssherman@mas.org. Please be advised that there will be a supervised homework room provided for school aged children. If you need to bring a child, please contact us in advance. UPDATE: The podcast is available from WNYC's Web site, or through the widget below. Susan Siegel, outgoing executive director of the Flatbush Development Corporation (FDC)and Zenobia McNally, local resident and business owner and Eve Baron, director of The Municipal Art Society Planning Center and the project manager for Imagine Flatbush 2030, discuss their efforts to create a community-directed development plan for Brooklyn's Flatbush neighborhood. The Brian Lehrer Show airs weekdays at 10AM on 93.9 FM and AM 820 and Tuesdays through Saturdays at 1AM on AM 820. The call-in number is 212-433-9692 (or 212 433 WNYC). Just a reminder that TOMORROW, Monday, December 3, is the next general meeting for Sustainable Flatbush. The Gardening Committee will report on plans for a public community-wide educational event in late February. Festival of the Trees #18, November Arborea, is up on Larry Ayers' Riverside Rambles. This issue has a link to my post about Brooklyn's Trees, the Flickr photo pool I started this year. The 19th Festival of the Trees will be hosted by Lorianne of Hoarded Ordinaries. She’ll be taking submissions until midnight on December 30th. You can e-mail her at zenmama (at) gmail.com. You can also use the handy submission form. Updated 12/6: Added Brian of Brooklyn, who has the most photos I've seen so far. Updated throughout the day Monday, December 3, to add links to other blogs with photos of the first snow. I didn't get out of the house today. Too busy cleaning, getting ready for guests tomorrow evening. But I was keeping an eye on the bird feeders yesterday and today. The winter migrants are firmly established now: Juncoes, Chickadees, and a little crested one whose name escapes me at the moment. I was looking for nuthatches, my favorites, but I didn't see any this weekend. 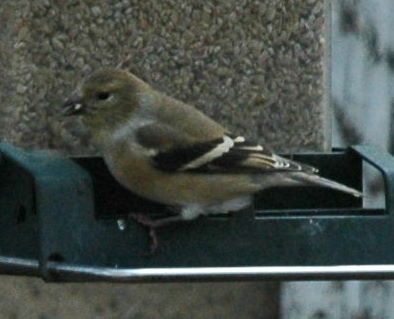 American Goldfinch, Cardulis tristis, in winter plumage. I think this is a female. Thanks to Flickr pals megankhines and PhotoJeff for the id! Well-maintained trees increase the “curb appeal” of properties. Research comparing sales prices of residential properties with different numbers and sizes of trees suggests that people are willing to pay 3–7% more for properties with ample trees versus few or no trees. One of the most comprehensive studies on the influence of trees on residential property values was based on actual sales prices and found that each large front-yard tree was associated with about a 1% increase in sales price (Anderson and Cordell 1988). Depending on average home sale prices, the value of this benefit can contribute significantly to property tax revenues. The annual increase in property values attributable to NYC's street trees alone is estimated at $52,500,000 per year. The standing value of those trees is far greater, 50-100 times the annual figure, in the billions of dollars. And this study only examined street trees. These figures do not take into account the standing and ever-increasing value of trees, plants, and other landscaping on the properties themselves. 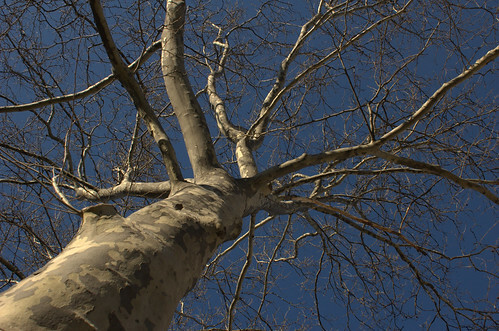 Many benefits attributed to urban trees are difficult to translate into economic terms. Wildlife habitat, beautification, improved human health, privacy, shade that increases human comfort, sense of place, and well-being are difficult to price. However, the value of some of these benefits may be captured in the property values of the land on which trees stand. To estimate the value of these “other” intangible benefits, research that compares differences in sales prices of houses was used to estimate the contribution associated with trees. The difference in sales price reflects the willingness of buyers to pay for the benefits and costs associated with trees. will have a greater annual aesthetic benefit than an equal number of mature planetrees. However, the cumulative aesthetic value of the planetrees would be much greater than that of the pear. Update 2007.11.04: For others' reactions to the Times piece, see the Links at the end of this post, or check out the list on Brooklyn Junction. Also added a link to a 1998 letter to the editor about their invention of "Greater Ditmas Park." 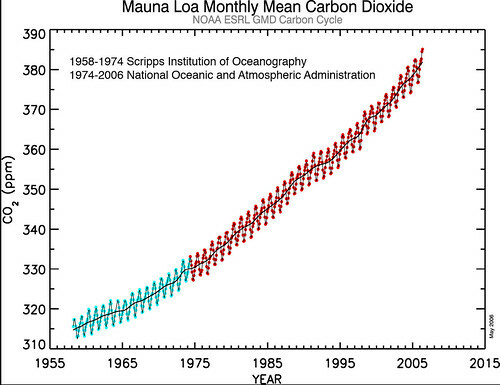 This simple graph of the Mauna Loa Carbon Dioxide Record documents a 0.53 percent or two parts per million per year increase in atmospheric carbon dioxide since 1958. This gas alone is responsible for 63 percent of the warming attributable to all greenhouse gases according to NOAA's Earth System Research Lab. Fifty years ago the U.S. 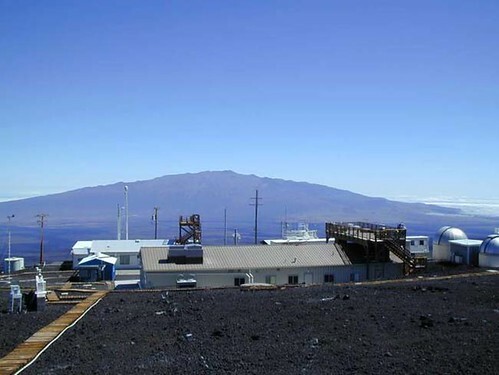 Weather Bureau, predecessor of NOAA’s National Weather Service, helped sponsor a young scientist from the Scripps Institution of Oceanography to begin tracking carbon dioxide in Earth’s atmosphere at two of the planet’s most remote and pristine sites: the South Pole and the summit of the Mauna Loa volcano in Hawaii. This week NOAA, Scripps, the World Meteorological Organization, and other organizations will celebrate the half-century anniversary of the global record of carbon dioxide in Earth’s atmosphere—often referred to as the “Keeling Curve” in honor of that young scientist, Charles David Keeling. Carbon dioxide is the most important of the greenhouse gases produced by humans and very likely responsible for the observed rise in global average temperatures since the mid-20th century. The Mauna Loa and South Pole data were the first to show the rate of CO2 buildup in the atmosphere. In 1974, NOAA began tracking greenhouse gases worldwide and continued global observations as the planet warmed rapidly over the past few decades. 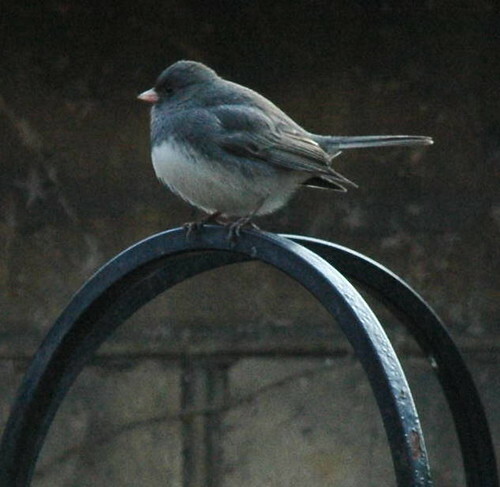 Brooklynites know better than anyone the havoc that development can wreak on a habitat. So on Saturday, Dec. 8, the Kentler International Drawing Space in Red Hook will host an artist’s talk on “Observing the Edge,” the gallery’s current show, which features works on paper relating to flora and fauna with habitats threatened by progressive development. ... anyone who has seen plants, or any other living creatures, displaced by development will surely want to take notice. She embodied the spirit of volunteerism in both its meanings. She was a person who performed services willingly and without pay, providing an example to others who may have come to the garden for personal growth but stayed to cultivate that passion in others. But she was also like a stubborn volunteer plant, flourishing in our communal garden without being planted or cultivated. Dorcas embodied the gardener’s faith that the ground we prepare, and the seeds we sow today, will bear fruit in the future – regardless of whether today’s gardeners will be there to witness the next harvest. While she will be greatly missed, the volunteers that she inspired will continue her work for many seasons to come. 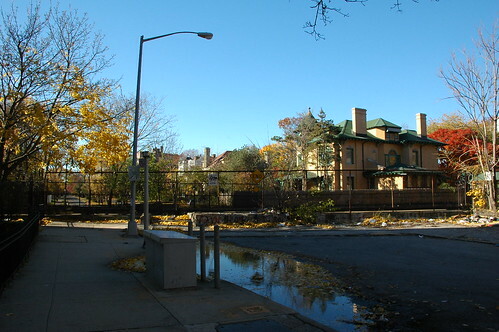 The Windsor Terrace Alliance (WTA) is made up of residents, community groups and businesses of Windsor Terrace interested in advocating for our neighborhood. We are your neighbors. The more voices we have, the louder our voice will be. Please consider joining us to get involved or for updates on issues affecting our neighborhood (click on the Contact Us button below). via the StableBrooklyn Yahoo Group. The WTA covers the area from Prospect Park West on the west, Prospect Park Southwest to Park Circle on the north, follows Ocean Parkway and then Caton Avenue on the east, and to McDonald Avenue on the south. These boundaries include the East 4th Street Community Garden which I recently visited. Updated 2007.11.30: Added the complete list of ideas which came out of the brainstorming session. Last night I hosted the kickoff meeting for the Gardening Committee of Sustainable Flatbush. Clockwise from lower left in the photo are Mela, Anne, Lashonda, and Bruni. At the end of the evening, I asked if someone was willing to co-chair, and Bruni volunteered. She will report to the general meeting next Monday. What follows is my summary of how the evening went. We opened with some quick introductions, everyone helped themselves to tea and cookies, then we settled in for a quick brainstorming session. 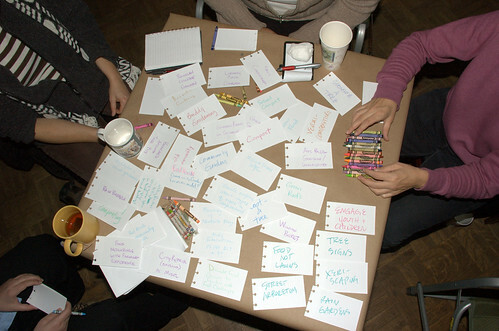 As you can see in the photo above, my little card table wasn't big enough to hold all the ideas we generated in just a few minutes. Next time I'll use a bigger table. Next we reviewed everything each of us had written while grouping and clustering the cards. For example, we had clusters for ideas related to composting, schools and youth, gardening techniques, street trees, and community. This sparked more discussion, questions and answers, and more ideas. The strongest theme to come out of the meeting was "community." Each of us feels strongly about the connections between community and gardening. I talked about my experiences with the Daffodil planting on Cortelyou Road. 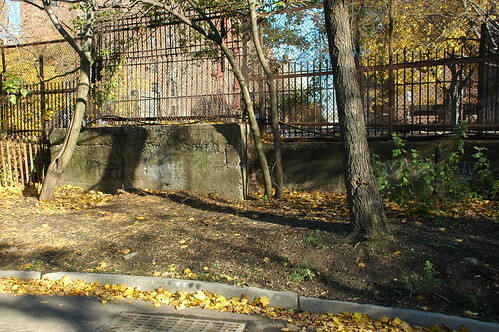 Bruni talked about her experiences with a community garden, and the community of gardeners, in the East Village. Others talked about their desires to organize people in their buildings, and on their blocks. We decided to focus on a single near-term action: a public community meeting in late February. The idea is to get people excited about the possibility of doing something with their building, their block, their neighbors in 2008, and connect them with opportunities to learn more and organize. I've contacted BBG's Brooklyn Greenbridge to see if they can do a Flatbush-oriented version of their "Greening Up Your Street" program. Even if not, we'll be able to put some kind of program together. We don't have a date yet for our next meeting. We're thinking it might be sometime in January. When we have a date, it'll be announced here and on the Sustainable Flatbush motherblog. Any piece of land gardened by a group of people. I'll close with this photo. This shows the state of our table workspace after we had done the grouping and clustering. Visit the Flickr photo pages for this and the opening photo; they have notes with the text from some of the cards. This photo also shows that my home-made, from scratch, double Callebaut bittersweet chocolate chip cookies were well-received. The crayons were popular. I also ended up with some nice drawings and doodles on the paper covering the card table. I'll have to get some photographs of those as well. Here's the complete list of ideas, in alphabetical order, which came out of our brainstorming session. This month's Sustainable Flatbush general meeting will be next Monday, December 3, from 7 to 9pm. At the meeting, Gardening Committee co-chair Bruni will report on last night's kickoff meeting and our plans for a public community event sometime in late February 2008. Brooklyn GreenBridge is BBG's community horticulture program, including our Brooklyn Compost Project. For a free copy of our newsletter and more information about GreenBridge programs and events, call 718-623-7250. To reach our compost help line, call 718-623-7290. All classes are free, but you must preregister at 718-623-7220 unless otherwise indicated. All classes are held at the Brooklyn Botanic Garden. All classes are free but require registration. I've highlighted some upcoming classes below. See their Web site for registration information and the complete class schedule. Thursday, January 17, 6–8 p.m.
Leaves, kitchen scraps, garden trimmings, and weeds can all become garden gold through composting. Making dark, rich, crumbly compost doesn't take much time, work, or space. This class covers the essentials: the composting process, how to compost even in small city yards, using finished compost, avoiding and solving problems, and helpful equipment and tools. Participants receive a copy of the BBG handbook Easy Compost: The Secret to Great Soil and Spectacular Plants. Thursday, January 31, 6–9 p.m. Working with worms in the classroom is a great hands-on way to teach ecology, recycling, and gardening. Learn how to set up a worm bin, feed worms with food scraps, and maintain the system successfully. Activities, curriculum ideas, and ways to incorporate worm composting into science, math, and language arts for students of all ages will be introduced. Teachers will receive a copy of the activity guidebook Worms Eat Our Garbage, by Mary Appelhof, and may purchase a $10 voucher for a pound of red wiggler worms and a plastic worm bin. This class may also be held at your Brooklyn school for a group of ten or more teachers. For information contact 718-623-7290 or compost@bbg.org. Thursday, February 14, 6–8 p.m.
Did you know that redworms have 5 pairs of hearts? Come to this workshop and learn other things about this unique species. Learn all about vermicomposting, or composting with worms, including how to make and maintain a home for redworms. Participants will receive a copy of the book Worms Eat My Garbage, by Mary Appelhof, and may purchase a $10 voucher for a pound of redworms and a plastic worm bin. Register with Karla Osorio-Pérez at 718-623-7368. Thursday, February 28 / Jueves, 28 de febrero, 6–8 p.m. This class addresses two audiences—English and Spanish speakers—and is translated in both languages simultaneously throughout the session. We cover the basics of composting in a complete, practical, and interactive way. Participants receive handouts and literature to review at home. Esta clase esta diseñada para el público de habla hispana e inglés y será brindada en ambos idiomas al mismo tiempo. El taller ofrece una gran oportunidad para aprender cómo hacer abono orgánico en una forma práctica, sencilla y de una manera interactiva. Participantes recibirán material informativo para estudiar en casa. 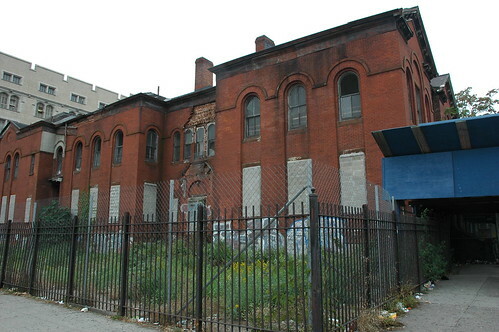 A former public school in Flatbush has been approved for designation as an individual landmark by the Landmarks Preservation Commission. At its meeting on Tuesday, Nov. 20, the commission voted 8-0-0 to approve a recommendation by its research department to designate the former Flatbush District No. 1 School, later named PS 90, at the corner of Church and Bedford avenues and adjacent to Erasmus Hall High School. Given the condition it's in, I hope this action hasn't come too late to save this building. I bet this would make a terrific community center in an area that's sorely lacking public meeting space. Update 2007.12.10: I gave them permission to use the photo - a view of Governor's Island from Red Hook - and they included it. I got an email this evening notifying me that one of my Flickr photos has been short-listed for inclusion in a Schmap guide. I've never heard of them before this, and just want to know if anyone has any experiences with them as a content contributor. Please share publicly in the comments or email me privately at [xrisfg at gmail dot com]. While we offer no payment for publication, many photographers are pleased to submit their photos, as Schmap Guides give their work recognition and wide exposure, and are free of charge to readers. Photos are published at a maximum width of 150 pixels, are clearly attributed, and link to high-resolution originals at Flickr. The creative commons license that you've assigned your photo(s) provides for non-commercial use. Our Schmap Guides, though free to readers, are ad supported: if you would like your short-listed photo(s) to continue to our ... final selection phase, please therefore read our 'Terms of Submission' and press the 'Submit' button, no later than our editorial submission deadline – Sunday, December 2. The term "Photos" refers to one or more photographs and/or images licensed by You to Schmap pursuant to the Terms. Subject to the terms and conditions herein, You hereby grant Schmap a worldwide, royalty-free, non-exclusive, perpetual license to include the Photos in the current and/or subsequent releases of Schmap's destination/local guides. Nothing in these Terms is intended to reduce, limit, or restrict any rights arising from fair use, first sale or other limitations on the exclusive rights of the copyright owner under copyright law or other applicable laws. (a) Schmap may only distribute, publicly display, publicly perform, and/or publicly perform the Photos pursuant to the Terms. (b) Schmap shall be required to keep intact all copyright notices for the Photos and provide, reasonable to the medium or means of utilization, the name of the original author (or pseudonym, if applicable) if supplied, for attribution in Licensor's copyright notice, terms of service or by other reasonable means, and a credit (implemented in any reasonable manner) identifying the use of the Photos in any derivative Photos created by Schmap. (c) Schmap shall, to the extent reasonably practicable, provide Internet link(s) to your Photos. (d) Schmap shall not sublicense the Photos. (e) Schmap shall indicate to the public that the Photos are licensable to others under the Creative Commons license that you have assigned to the Photos prior to Schmap's initial short-listing of your Photos, and provide a link to this license, where reasonably practical. (f) Schmap shall continue to make its destination/local guides available at no cost to end users. You confirm that You own or otherwise control all of the rights to the Photos and that use of the Photos by Schmap will not infringe or violate the rights of any third parties. Schmap shall have no obligation whatsoever to reproduce, distribute, broadcast, or otherwise make use of the Photos licensed by You to Schmap hereunder. While the Flickr website and/or Flickr API have been used to short-list your Photos, Schmap claims no affiliation or partnership with Flickr. [Lots of legalese ...] If there is any dispute about or involving the Terms or the license granted hereunder, You agree that such dispute shall be governed by the laws of the State of California without regard to its conflict-of-law provisions. You agree to personal jurisdiction by and venue in the state and federal courts of the State of California, City of San Francisco. The license granted in the Terms may not be modified without the mutual written agreement of You and Schmap. 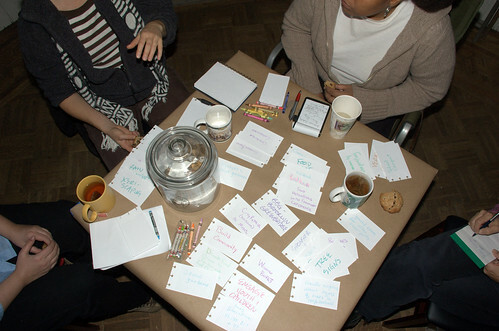 In the first Imagine Flatbush 2030 workshop, we enumerated "Assets" and "Challenges". At our table - and it sounded like the experience was shared at others' - where someone lived emerged as a primary determinant of what appeared in which category. Sometimes shared concerns, such as transportation, appeared as both an asset and a challenge, depending on where one lived. It became clear to me that the lines can be sharply drawn, sometimes block-by-block. I'm a newcomer to the area, having moved here only in Spring of 2005. I researched more and more about the area and its history as we committed to buying a home and moving here. I've still only visited a small portion of Flatbush. IF2030 is making me curious about exploring more of it. Part of what I want to explore more of is literally "on the other side of the tracks" from where I make my home. The B/Q subway line runs through this neighborhood as an open trench. There are several places where there is no crossing, and the cut forms a geographical barrier, a steel river, separating one side from the other. It wasn't always so. With homage to Forgotten NY, here's a little piece of Flatbush that's not quite forgotten, still part of living memory, the Albemarle Road pedestrian bridge. Google Map of the location of the old Albemarle Road pedestrian bridge. 143 Buckingham Road is also highlighted; it's a landmark in all the historical photos of this crossing. The markers show where I took the photos for this article. The BMT as I remember -- never rode it much, but had relatives on East 17th & Beverley Road. We would always go to the Albemarle Road footbridge by the tennis courts over the BMT cut, and watch the trains. Eastern Dead End of Albemarle Road at Buckingham Road. 143 Buckingham Road is at the left of the photograph. Western Dead End of Albemarle Road near East 17th Street. 143 Buckingham Road is at the right of the photograph, across the tracks. 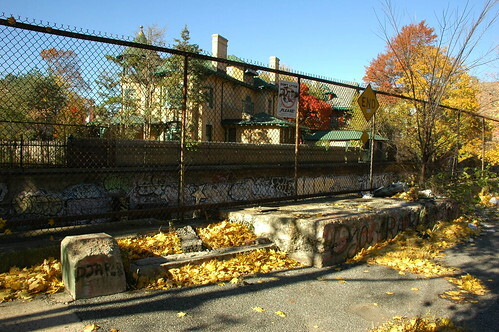 East Foundation of Albemarle Road Pedestrian Bridge. 143 Buckingham Road is in the center, across the tracks. Albemarle Road is interrupted by the subway cut for the B/Q lines. In the late 19th Century, several rail lines were developed to take passengers from the City of Brooklyn, what we now think of as downtown Brooklyn, through the other villages and towns such as Flatbush, to the beach resorts on Coney Island and Brighton Beach. By the 1870s the Brooklyn Coney Island Railroad ran along Coney Island Avenue. By the 1890s, the Brooklyn, Flatbush and Coney Island Railroad (BF&CI) ran along what is now the current route of the B/Q subway line. 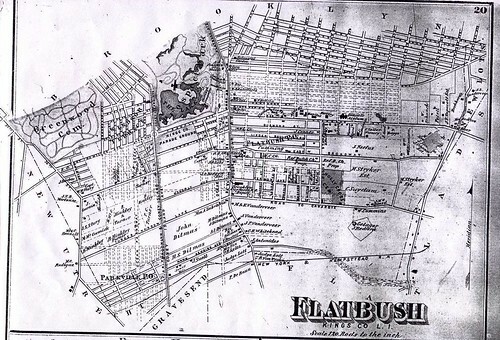 Most of Flatbush was still farmland at the time. When the Flatbush farms were sold and the area was developed at the turn of the 20th Century, the tracks still ran at grade. 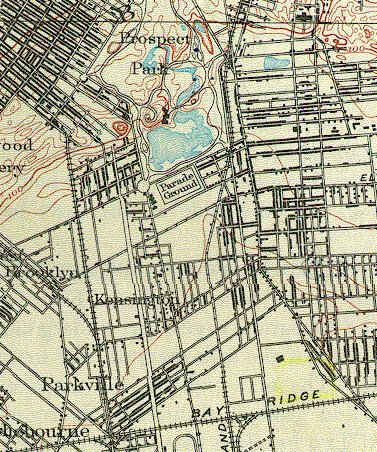 In this 1873 map of Flatbush, Prospect Park and the Parade Grounds are already laid out to the north, and the Brooklyn Coney Island Railroad runs along Coney Island Avenue. On this map, Parkside Avenue is named Franklin Avenue, Church Avenue is named Church Lane, and Cortelyou Road is named Turner Harrow (or Narrow?) Lane. The Waverly Avenue shown on this map no longer exists; it's later replaced by Albemarle and Beverly Roads Road, whose future locations are shown, but neither named nor yet built. The future route of the B/Q line is not shown. The families whose landholdings and houses appear on this map lent their names to several streets and neighborhoods: Turner, Hinkley, Ditmas and Vanderveer. In an 1888 USGS Survey Map of Brooklyn, just a small portion of which is shown here, Waverly Avenue has been "de-mapped." The roads built in its place, unnamed on this map, are Avenues B and C; these will be renamed later to Beverly and Cortelyou Roads. Between them run East 11th through East 14th Streets; in the early 1900s, these will be renamed to Stratford, Westminster, Argyle and Rugby Roads to cash in on the cachet of Prospect Park South. The BF&CI, which began service in July 1878, is also now in place. East of that, the eastern half of Avenue A (Albemarle Road) has been built, along with East 17th through 19th Streets. Through the early 1900s, all these railroad lines ran at grade, at street level. There were also trolley lines, at first horse-drawn, then later electrified, on many of the crossing streets. Development brought a burgeoning residential population, more traffic, and more traffic conflicts and accidents. The decision was made to separate the rail and street traffic by moving them to different levels, passing above and below each other. 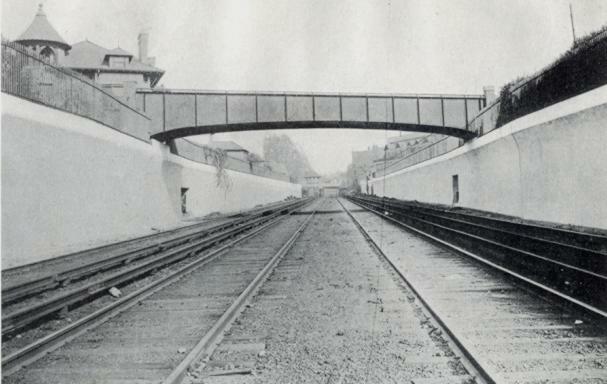 This photo from the 1918 "Reports of the Brooklyn Grade Crossing Elimination Commission" shows the Albemarle Road Footbridge. The line has been widened to four tracks and now runs below grade. Today, the local Q train runs on the outer tracks, while the express B runs on the inner tracks. 143 Buckingham Road is visible on the upper left of the photograph. Thanks to Art Huneke for permission to use this photograph. This photo appears on his page Brighton Beach Line, Part 3. The physical contrasts could hardly be stronger across the tracks: a wide, tree-lined boulevard with large, detached wood-frame houses on one side, and tall, multiple-unit residential buildings with few trees on the other. It is tempting to imagine what it would be like to restore the pedestrian bridge, eliminating at least a geographical barrier between these two halves of the same neighborhood. Would it help us to make other connections, to recognize our common assets and challenges, and work together to create a future we can all live with?